I love the colors and the painted inside of the cabinet. I saw this movie a while ago, well I saw the first thirty minutes, and it showed this small overstuffed cozy kitchen I had to save and share. 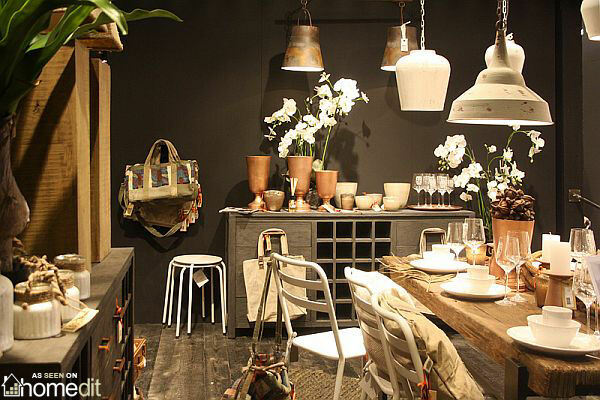 This isn't really a kitchen, it's a showroom but I like the atmosphere in this room. Love the natural colors in these three pictures. 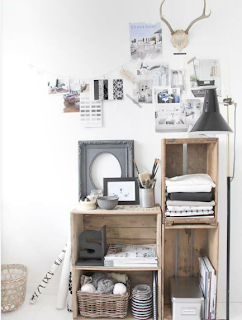 The crates are used here to store towels and magazines, but can be used in the kitchen as well.